The intention in writing Nutritional Truths was to place all the things I have learned over the past few years into a single source for folks to learn the truths about natural wellness. As time goes by I, learn more about various natural solutions and feel the need to share them with you and the powers of Turmeric is something you deserve to know. 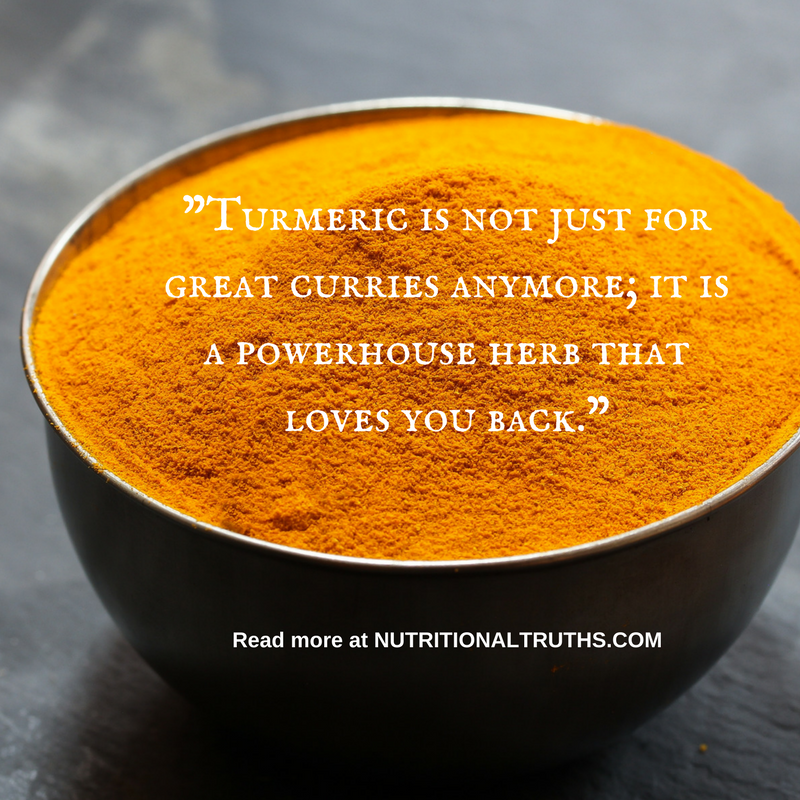 Turmeric is not just for great curries anymore; it is a powerhouse herb that loves you back. Used before history began turmeric has been an effective solution for reducing arthritis and inflammation and can reduce pain and fever much like Tylenol or Ibuprofen and without possible negative side effects. It improves digestion and intestinal flora, cleanses and strengthens the gallbladder and liver, battles cancer and may lessen Alzheimer’s symptoms. It is also used to combat swimmers ear or ear infections, sprains, burns, cuts, and insect bites as well as reducing coughs and asthma. Turmeric outperformed Prozac at treating depression in study after study without any of the potential negative side effects. Take a look online to find the studies and to learn more. It is also great for our fur babies and all other animals and is primarily utilized in the equestrian arena. For more information on using it for supporting healing in critters investigate DVM Doug English (BVSc) as he is the unofficial leader in the effective use of turmeric in animals. I learned about the amazing powers of turmeric through Golden Paste which is simply a mix of Turmeric, Coconut Oil, Black peppercorns, and water. The peppercorn contains piperine which makes the curcumin in turmeric more bio-available as it slows the liver from removing the curcumin so quickly from the blood. To make the golden paste all, you need a half of cup of organic turmeric as regular unregulated turmeric can have high lead levels, a third of a cup of unrefined coconut oil, a cup of clean water and two to three teaspoons of freshly ground peppercorns. Bring the turmeric and water to a boil then down to a simmer 9 minutes until it is a thick paste. Once it cools down a bit add the oil and ground peppercorns stirring well. Some folks freeze it in flexible silicone pill sheets for easy doses or add it to most any meal during the day. It will keep in the fridge up to two weeks or in the freezer for longer periods of time. Hope this sheds light on something you have perhaps overlooked and hope you investigate it further. May your weekend be a great one, share as you care to and be Well! If you’re a puppy parent and go for drives just so your pooch may hang their head out the window joyfully then you should know this. No matter your style of parenting canines the following is certainly worth knowing. It turns out that when we praise our pooches, it is the tone and not so much the words that impact them the most. A recent study proved how their brains respond to the tone and texture of our voice more so than the actual words spoken. 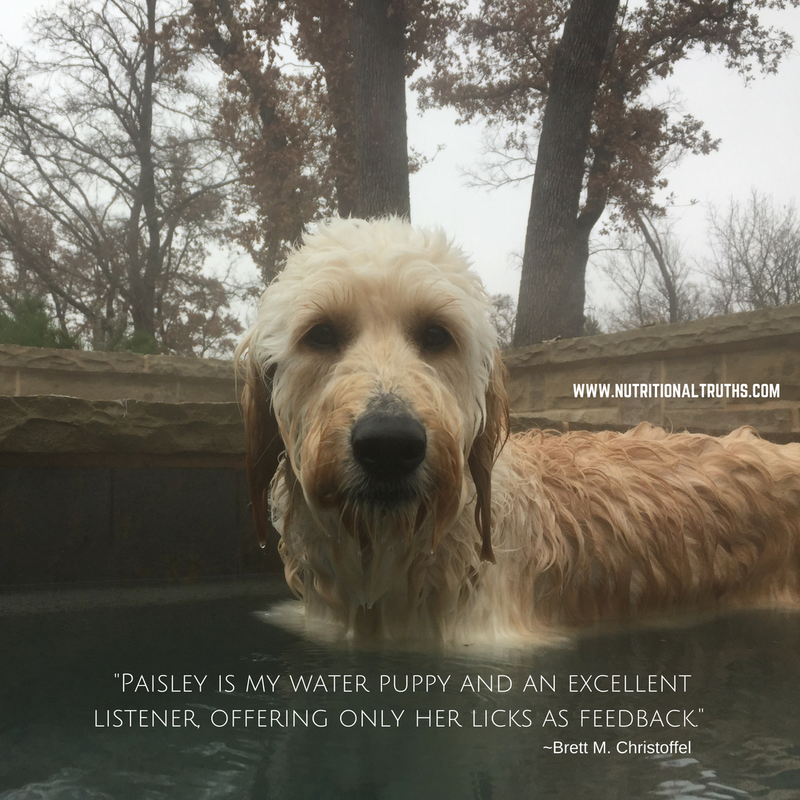 Quite simply, if you want your pooch to work their tail and feel the praise, then raise the tone of your voice while praising them and wear a smile. Dogs never say the wrong thing and are some of the best listeners I have ever met! I have written several other blogs about how to best care for your pooch please take a look around. Christmas is fast approaching, and I hope you are looking forward to it and all it entails for you. Enjoy your weekend, share as you care to and Be Well! Her name was Samantha, and we mostly called her Sam. Came into my young life when I was three and was our dog growing up. Mix of terrier, schnauzer, and poodle she was about 25 pounds and lived to be eighteen. It was the first time I witnessed my father crying when she was put to rest. 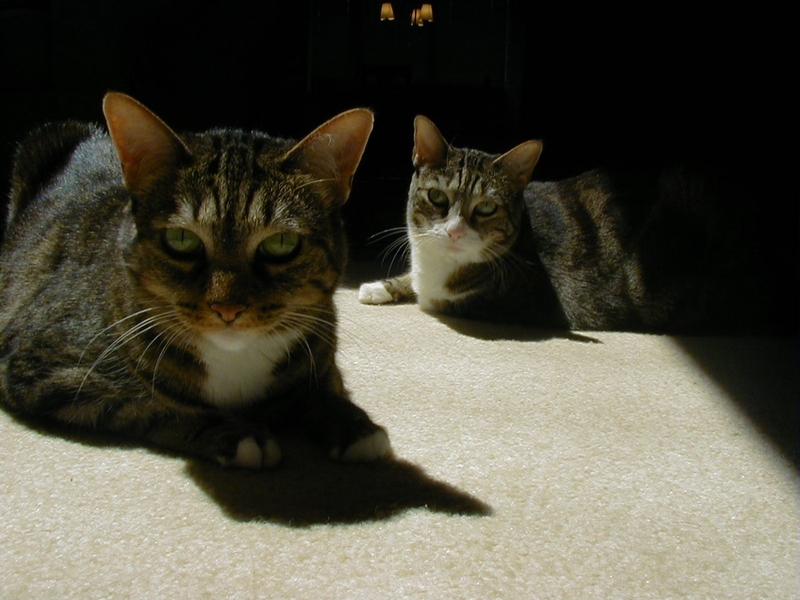 A few years later a girlfriend and neighbor had adopted two female kittens from the same litter, and I would watch them for extended periods of time. Immediately after our relationship ended she offered to give the kittens to me but upon my return one weekend she said they had run off. The next day I found the kittens at the local animal shelter, as she had brought them in the day previous stating that they had found the cats abandoned. She was unique. I adopted them and changed their names to Calvin and Hobbs. Anyone who knew me well knew my cats. Hobbs was dubbed “Lap S*%@” as she never met a lap she didn’t like and when you sat she would be on or next to you quickly. Calvin too would come and greet any visitor, and they were much like dogs but more curious. They would also come when called or stay away when refused. Hobbs lived an adventurous life for sixteen and a half years, and Calvin was two months short of reaching twenty when she faded out. I still miss them every day and crying for me is only a thought of them away. They were my first experience of true pet relationships. They now reside in an urn on my desk. I am a cat person first and my wife a dog person first. After my wife had lived with the kitties for a majority of their lives, she mentioned she would like to have a dog one day. We have been in talks about it for years. By the middle of this October, we will have our first puppy together. We have completed a backyard for her to enjoy, though she will live indoors, and the thought of having another life in the house is exciting. Did you know that dogs can live on vegetables alone? They are opportunistic carnivores and enjoy meat but don’t require it. I know more and more folks are supplementing their dogs chow with probiotics for overall better health. 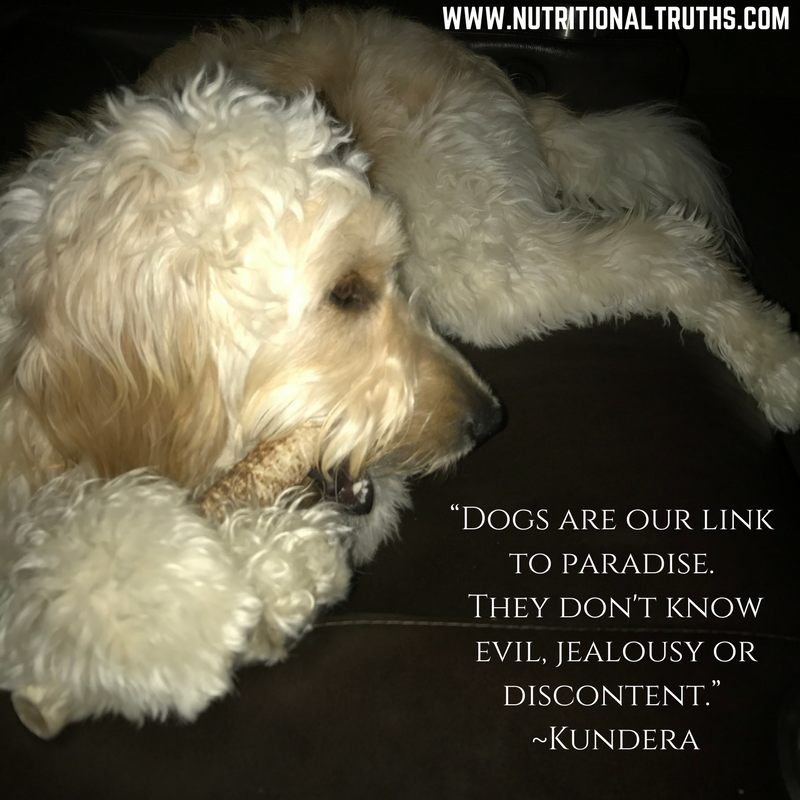 Dr. Mercola offers great holistic advice on his pet website, and it offers a search function to make finding information a breeze. So I live each day now with the thought of a new life we haven’t met yet, and I look forward to loving another critter and being loved. I know many people who have three to six dogs at any given time, and I am just nervous about the one. We are in the process of choosing a name, rules, etc. and I like it. Wonder if we’ll end up with more than one someday. Once our puppy has us I will share a pic etc. And about the audio book. What I didn’t know about the Nutritional Truths audio book is that before it is available on Audible, iTunes and Amazon it has to be reviewed and approved on their end, which can take up to two weeks. So any day now I will drop a blog about recording the book and informing all that it is available for streaming or download. Have a wonderful weekend, feel free to share this and Be Well!